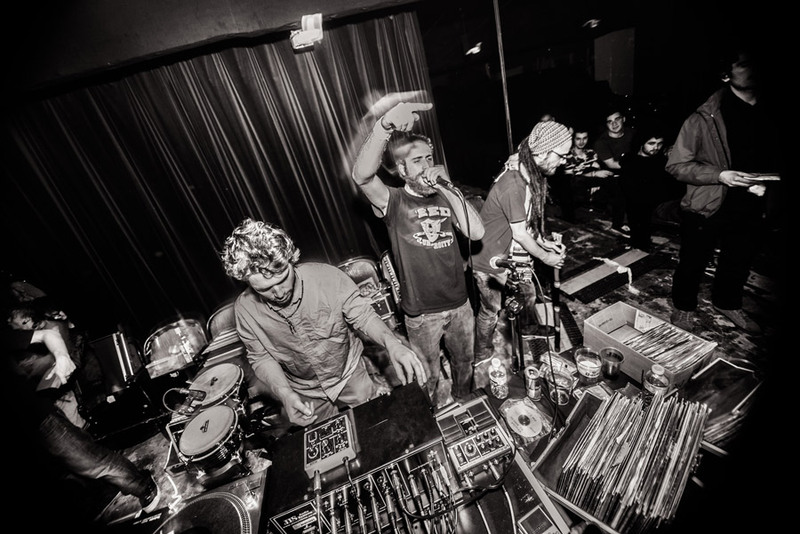 “The Roots Corner is a Brussels based crew counting 2 selectors/operators : Jah Piet and Leo. They bring to the people musical pearls of roots, uk dub and steppers out of a massive vynil collection, dubbing it live with their pre-amplifier, effects and sirens. BabbaJah is the official MC of the sound and fills the B sides of his conscious lyrics, vocal melodies and live binghi drums. They launched the Belgian Dub Community parties back in 2013, bringing a true Beljam family vibes to the massive, inviting the best sounds around and going international occasionally. The crew has already played along names like Mad Professor, DJ Vadim, Weeding Dub, Prince Fatty, Zenzile, Dubateers Ganja Tree, Dubwise Hi-fi and of course with a lot of local sounds like their friends Gamma Sound, High’n’Irie and Reservoir Dub.